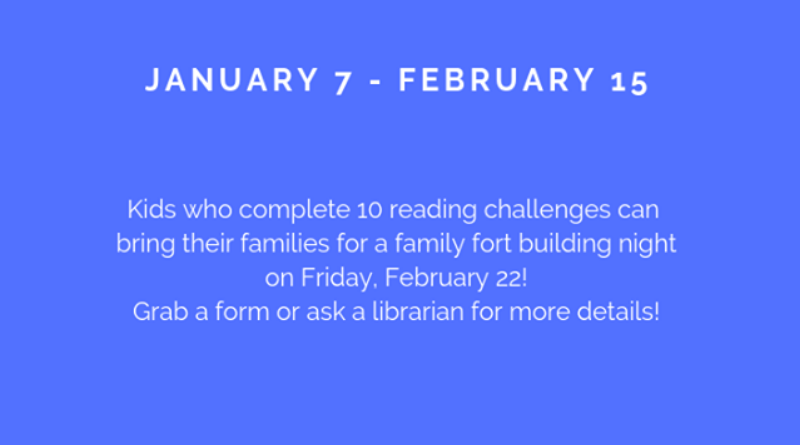 Children who complete 10 reading challenges between January 7th and February 15th can join us Friday, February 22nd for a Family Fort Building Night! You can bring items to build blanket forts in the library & read with your family (Children must be accompanied by an adult). You can sign up and grab a list of the challenges at the library! If you’re a kid who reads chapter books, see Miss Karen for information about your challenges!